Countries battling the Zika virus should consider new ways to curb disease-carrying mosquitoes, including testing the release of genetically modified insects and bacteria that stop their eggs hatching, the World Health Organization said. “Given the magnitude of the Zika crisis, WHO encourages affected countries and their partners to boost the use of both old and new approaches to mosquito control as the most immediate line of defence,” it said. The WHO also highlighted the potential of releasing sterile irradiated male mosquitoes, a technique that has been developed at the United Nations’ International Atomic Energy Agency (IAEA). 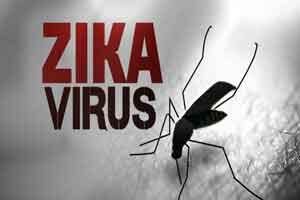 Zika, which is now sweeping the Americas, is transmitted primarily by the Aedes aegypti mosquito, which the U.N. health body described as an “opportunistic and tenacious menace”. “If these presumed associations are confirmed, the human and social consequences for the over 30 countries with recently detected Zika outbreaks will be staggering,” the WHO said. Fighting the infection at source by eliminating the Aedes aegypti mosquitoes responsible for transmission is moving up the public health agenda, especially as the same insects also spread dengue, chikungunya and yellow fever. However, the concept of wiping out an entire mosquito species also raises serious ecological questions, since it runs counter to preserving biodiversity. Still, insect control expert Jo Lines at the London School of Hygiene and Tropical Medicine has few qualms. “This is an invasive species, so getting rid of these mosquitoes would, if anything, restore the natural ecology, not destroy it,” he told Reuters. Like rats and pigeons, Lines argues, Aedes aegypti has adapted perfectly to modern urban living by breeding in everything from discarded bottle tops and used car tyres to pet water bowls and vases in cemeteries. As a result, the diseases it carries are likely to be a growing threat to humankind in the years ahead. While spraying or “fogging” with insecticide can provide part of the solution, WHO experts said they recommended evaluating newer tools, including a genetically modified prototype mosquito developed by Oxitec, the British subsidiary of Intrexon. Another option involves the mass release of male insects that have been sterilised by low doses of radiation, which the IAEA has already used to control tsetse fly in parts of Africa. An alternative approach uses Wolbachia bacteria, which do not infect humans but cause the eggs of females that mate with infected males to fail to hatch. Mosquitoes carrying Wolbachia have been shown to reduce mosquitoes’ ability to transmit dengue. The WHO said large-scale field trials of Wolbachia bacteria would be started soon. There is no specific treatment for a Zika and it will be at least 18 months before any vaccines are tested in large-scale clinical trials, the WHO estimates.